Saying goodbye occupies a different place in our lives than it has for most of history. It is the pain of parting I’m about to ponder, with a focus on counselor vacations and the fear of more permanent departures. The average sixteenth-century man didn’t worry about therapist holidays. No therapists! Parting from others, however, was both a greater and smaller dilemma for a person of his time as compared to our own. This ancestor was probably a farmer. He worked the ground only a few miles from where he was born. Travel consisted of taking his crop to market. Hardly the sort of goodbye from his family we think of. Hardly the kind to break the heart. The world of relationship endings — dissolutions — is different. Human reactions to them overlap with, but are not identical to temporary separations. For example, the aforementioned sixteenth-century farmer might never have heard of a friend’s divorce. Yet losing a wife to childbirth was well-known to him. Indeed, he could have lost children this way or in their early years. Familiarity with the death of adults was just as common. Those who died of illness usually expired at home. In effect, our predecessor of 500 years ago had less knowledge of temporary partings and far too much of permanent ones. Consistent with this difference in present and past experience, being jilted by one admirer for another was rare in the short period of the farmer’s pre-marital life. Back then, cohabitation meant marriage, most likely at an early age. In rural areas few competed for affection. The community enforced standards of faithfulness by its ability to shame an adulterer, thereby further reducing infidelity. The lovers of our day live together or marry with less assurance of relationship permanence than their ancestors. Much more fleshly opportunity and anonymity exist in the big city, easing the way to change partners. Nor do we experience the pressure to conform socially once imposed by religious institutions. When this kind of particularized goodbye occurs in a romance, it includes the element of rejection not present in a long trip or a death. Placement on the discard pile is about you. You not measuring up. And if a few of these disappointments are strung together, they contribute to self-doubt. Should such a person then enter psychotherapy, he is sensitized to anything hinting of a perpetual break from the therapist, at least once a good connection with the counselor exists. The pattern of previous relationship disappointments, including those from childhood, can prime the expectation of more hurt to come. Will he come back? Is he actually taking a vacation or just a break from me? What if he dies? The fears pile up and lead to more. He’ll decide to live somewhere else or give up doing therapy. What if he gets seriously ill? Might he retire? I seem to be too much for people, even strong people, even people who promise never to leave. I don’t care if he denies that, I know he will flee! Yes, he’s always come back. No, he didn’t take the vacation from me alone. (Choose your own way of making certain). No, he is still doing therapy right here, in the same old place. No, he hasn’t gotten sick so far and seems to be in good health (I hope). No retirement yet (although he will, at some point). No, I’m not “too much” for him. No, he isn’t like the others. He hasn’t abandoned me. I thought I was unlovable. Well, since he returns repeatedly and hasn’t referred me to someone else, perhaps I possess some value. Maybe I’m not as worthless as the others made me think. They were wrong. It’s possible I can survive my therapist’s absences. In fact, I’ve been surviving particularized rejections all my life. I’m stronger and better than I thought! The above outline of a hypothetical course of treatment ignores the possibility that the patient contributes to his rejection history by his actions or words. That issue might also require therapeutic focus. Once any necessary attention has been paid, however, there is still the matter of the shrink’s vacation to survive. Some time ago I offered direction in dealing with a therapist’s temporary absence here: Managing the Dread of a Therapist’s Vacation. I’ll add one more method to calm and comfort you while the time seems to stand still — while you cross off dates on a calendar as if you were serving a prison term. Beethoven knew separation. His attempt to achieve a permanent romance was a lifelong, futile struggle. When, finally, the progression of deafness closed access to the world outside, his music remained to give solace to himself and all of us. Accept his gift and listen to his heart rejoice at the moment of “The Return” (10’21”). Perhaps yours will too. I shortly will write an essay on those conditions that can cause a therapist to refer you to someone else. 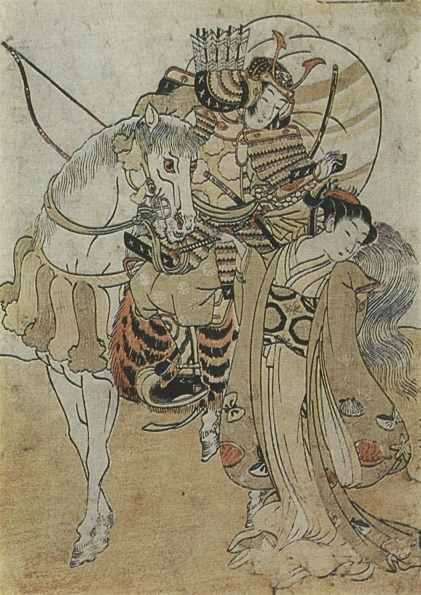 The first image above is an 18th century woodcut by Isoda Koryusai, photographed by Helena Roslavets. 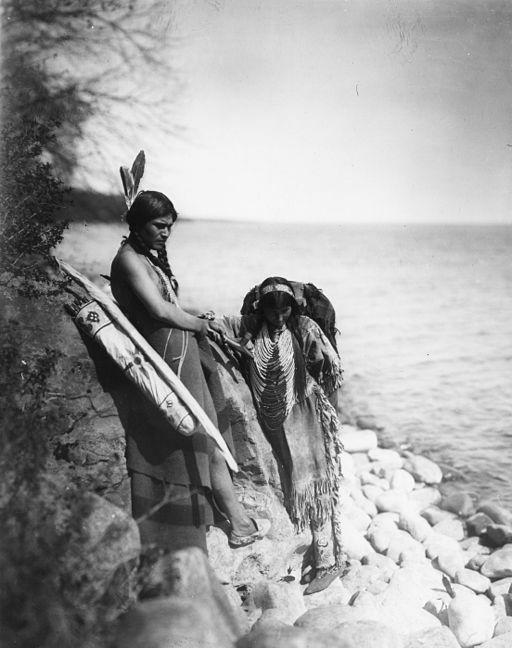 The next photo is by Roland Reed. Each one is called, The Parting, and are sourced from Wikimedia Commons. The title doesn’t sound good, does it? It rings of cruel efficiency and steely cold-heartedness. Yet even the best of us have rejected others. And because we don’t usually think about it much until it needs to be done, most of us don’t do it very well. Indeed, sometimes we hurt people because we have been too casual or too clumsy with those we cast off. Cast off. Cast away. Discarded. Nothing pretty here, is there? All the more reason to be as kindly as possible, if possible. Why do I say “if possible?” Because if there is too much delicacy, the person on the receiving end of the message can mistake the process for the product; that is, think that our gentleness and consideration signal that the rejection isn’t quite real; that perhaps we can be persuaded to rescind their removal from our life. Thus, a stern delivery sometimes is necessary to show that we are serious — that the relationship really is over with no reprieve, no second chances, no way out. And sometimes a swift and decisive blow is actually less painful because it does not extend the agony of the victim — doesn’t cause him to be hopeful when we know that he should really be hopeless. I’ve been rejected and I’ve done some rejecting. Just about everyone has. I’ve been dumped by lovers, potential lovers, acquaintances, friends, employers, and potential employers. I’ve done the same when the situations were reversed. It is in the nature of life and therefore not at all remarkable. Still, I have some remarks on the subject. Do you want to euthanize the person or perform an execution? The high road or the low road? Do you want to do it quickly or slowly? Should there be hints along the way or do you want it to come as a surprise? Do you intend to be respectful or disrespectful? Are you angry at the anticipated target? Are you certain that you wish to be finished with this woman or man? Will the message be understood if it is done with some subtlety and care or must it be performed with a mallet? Are you more concerned with sensitivity to the rejected one’s feelings or your own discomfort? Now let us think about how it is usually done in a few of the areas of rejection we encounter once we are out of school. Interviewing for a job. These days it is all too common to interview for a job and never hear back from your hoped-for employer. Sometimes you do get feedback, but only in a form letter or email; or after your patience fails and you make a call, discovering that the job has been filled. To my mind all of this is unfortunate, giving no regard to the applicant’s feelings. A phone call or a letter sent by U.S. mail with a real signature costs more time and money, but displays courtesy and respect. If there has been an interview, there should always be some follow-up personal contact. Ending love relationships. Letters are history. There was a certain dignity in writing a “Dear John” letter when no other means of communication was readily available, but unless your lover is incommunicado in a faraway land, there are more considerate means at hand. Texting and emailing are often cowardly, as are breaking-dates and failing to return phone calls, hoping that your soon-to-be ex will get the message that is left unsaid. If you aren’t dealing with a stalker or someone who is violent, a face-to-face meeting is required. It shows respect, even if it is uncomfortable for you. Disappearing acts are for magicians and hit-and-run drivers, not someone who wishes to leave the dismissed person with a bit of dignity. Think of how you would feel if the roles were reversed. Declining invitations. Written invitations which request an RSVP no longer seem to routinely generate any sense of responsibility on the part of the person who was requested to say yes or no. But courtesy demands that you do respond and do so promptly. The matter is more ticklish if someone asks you on a date — someone who you don’t want to be with (whether potential friend or lover). The age-old standard response is to say, “Gee, I’m washing my hair that night, so I can’t go.” Something more original is also possible: “Oh, I think that’s the day I’m having brain surgery. Let me check my calendar and I’ll call you back.” On the other hand, one could say, “Not if you were the last person on earth.” I am without clear recommendations here, other than to communicate directly enough to discourage further contact, while at the same time trying to avoid humiliating the other person. As I mentioned earlier, timing is important. The very worst moment to “pink slip” an employee turns out to be the best time for the supervisor or employer: Friday afternoon. That way, the boss can have a nice weekend and needn’t worry about the uncomfortable situation any longer. But he or she has plunged the dagger at just the wrong moment for his ex-subordinate. The newly jobless person now has the whole weekend to dwell on his misfortune with nothing else to do; or, if he does have plans, those activities have been spoiled. The same holds true if we are talking about the timing of a break-up. A lot depends on your feelings toward your counterpart in any anticipated rejection, and your own courage and self-respect. If you don’t like or care about the girl or guy you are brushing off, that probably means you won’t give her feelings much thought. If you are very self-involved the answer is the same. If you have the strength to look someone in the eye and deliver bad news knowing that it may pain you to see tears or sustain his or her anger, that is another story. But if you are avoidant, you probably won’t. In other words, how you approach your rejection of someone else says a good deal about you. Rejection is definitely a boo, no matter how delicately it is voiced. Lance Armstrong made the comment. He ought to know. More on the curious contemporary understanding of RSVPs can be found here: The RSVP Puzzle. More on causing pain to others can be found here: Delivering Bad News and Causing Pain: Ending Therapy and Romance. The top image is called Rejection, by Mjt16, sourced from Wikimedia Commons. The beginning of the New Year is one of those moments when love-past and love-future stand back-to-back. I suppose they always do, but rarely do we so literally turn the page, see the annual number change, and acknowledge our movement across time. The advancing calendar makes our heart’s progress (or lack of progress) harder to ignore than usual. If you had a relationship-past that is better than your present, there is a chance that the New Year will remind you of those times when there was love and enchantment in your life; when bygone people who meant everything to you also believed that you meant everything to them. The New Year in that case offers another chance, hoping to recapture what was lost or trying to achieve the thing that has been so elusive. The subject of love — the lost and found quality of it — is at the heart of Woody Allen’s 1979 movie Manhattan; much more a romance than a comedy, for all its good humor. You may not think of Woody Allen as someone who specializes in tenderness, but Manhattan certainly does. Mariel Hemingway plays “Tracy,” a young woman in a May-December romance. She is soon to find that her openness to love leaves her as vulnerable as if she were in surgery. Perhaps she is also too young to know that the operating theater of romance always involves the potential for heartbreak as well as the hope that finally — finally — someone will see all the good inside of us and cherish it without conditions. That their eyes will brighten on our arrival, and that even our scent on a just-worn garment will warm the frozen sea within. Love is compensation for the lacerations of living, but also the cause of those same cumulative cuts. If the New Year’s dawn is spent in the company of someone who is constant and caring, it is easy to feel intoxicated even without champagne. But if we are alone on New Year’s Eve, the back-to-back character of the old year turning new forces us to look both ways. In one direction is the receding memory of ended romance and present loneliness, while the tightrope of hope beckons in the other direction — the hope that relationships yet unknown are just up ahead; if only we can keep our balance and brave the journey from here to there. That dream confronts the darker aspect of our memory. All of us have been betrayed or rejected by lovers. The surgical scars bear witness. As Sartre said in No Exit, “Hell is other people,” but so is heaven, at least as we imagine it. Still, it is easy to give up. The line I love the best in Manhattan comes in its closing moments: “You have to have a little faith in people.” For those who have been repeatedly hurt, this is asking terribly much. Yet the first job of the lovelorn is to keep alive the faltering flame of future possibilities. A therapist can be of help in this. It is faith in what another person might be able to do that ultimately brings the lonely to therapy and keeps them in the game of love, doing the hard work that treatment involves; dreaming finally to come out whole; and trying once more to find a lasting romance. With or without therapy our job is the same, this New Year and every year: To have enough faith in people to keep searching; and, once the right one is found, to hold tight. Things change. The question is, do we change with them? Or, do we instead, continue to operate by the same outdated rules of conduct. I often said to my patients that they seemed to be behaving as if the conditions of their early life still existed. They had long since fashioned solutions to problems that they faced many years ago, and continued to use the same solutions, even though those methods of living didn’t fit with their current life situation. It is as if one were born in Alaska, learned to wear multiple layers of heavy clothing and then moved to the tropics without a change of attire. The warm clothes were helpful up North, but are a disaster down South. What does this have to do with the “Japanese Holdouts of World War II? The answer is that these men lived by an outdated set of rules with heartbreaking consequences. If you recall your history lessons, you will remember that the Japanese soldiers of that period were trained according to the principles of Bushido, a feudal fighting code that derived from the period of Samurai warriors. Above all else, weakness was condemned and surrender was disgraceful. Death by one’s own hand was seen as preferable to permitting oneself to be captured, so as to avoid both personal disgrace and family shame. The Allied approach to the war against these very soldiers in the Pacific was one that involved “island hopping.” The strategy passed over certain islands, both to save men and ensure that the Allies would be able to capture those islands that were of the greatest strategic value. When the Japanese surrender came in 1945, numerous Japanese troops found themselves stranded on out-of-the-way Pacific islands, cut-off from their command, and without the capacity for communicating back home. These men neither knew the war was over nor could imagine that any honorable soldier, let alone their entire nation, would surrender. Some were in small groups who gradually died from disease or starvation; others were, at least eventually, alone. While many never surrendered and died still waiting for reinforcements that never came, it was not uncommon in the late 1940s and 1950s to read news accounts of isolated Japanese combatants giving themselves up. The photo at the top of this page is of Second Lieutenant Hiroo Onada, who finally surrendered in 1974, and would not do so until his former commanding officer, by then a bookseller, personally ordered him to lay down his arms. At that point, World War II had been over for nearly 30 years. Thirty years. Yes, 30 years dedicated to a war that was over and a life of desperation that was no longer required. But how many years, if any, have you given up to a thread-bare, bankrupt strategy of living that has long since outlived its usefulness?. And, more to the point, how many more will you endure? When will you realize that your “solution” has now become the problem? In my psychotherapy practice I saw numerous variations on this theme. People who were abused or neglected or criticized as children and who continued to live in terror of disappointing others. Those who found substance abuse the only available way of treating the depression or anxiety they experienced when they were young, and who continued to do so. People who avoided challenges because they were scared of failure, having failed many times in the past. Individuals who wore a chip on their shoulder, forever sensitive to insults and injuries that reminded them of long ago attacks, but now were only injurious in their imagination. And those poor souls who expected rejection because of past rejection. Like the Japanese holdouts, the years pass but the fear doesn’t, and the possibility of satisfying relationships and happiness slips away. If you still are responding to the present as if it were the past, with solutions that solve little (even if they were once necessary), then it is time to change your life. The barricade of your life’s defenses might be protecting you only from the phantom of an enemy who lives within you, not on the other side of the fortification. A good therapist is likely to be able to help you develop a new way of living, one more appropriate to the world as it is, not the world as it was; to set aside and heal old wounds. What is the continuation of your old way of living costing you? The war, your personal war, might just be over and you don’t know it.